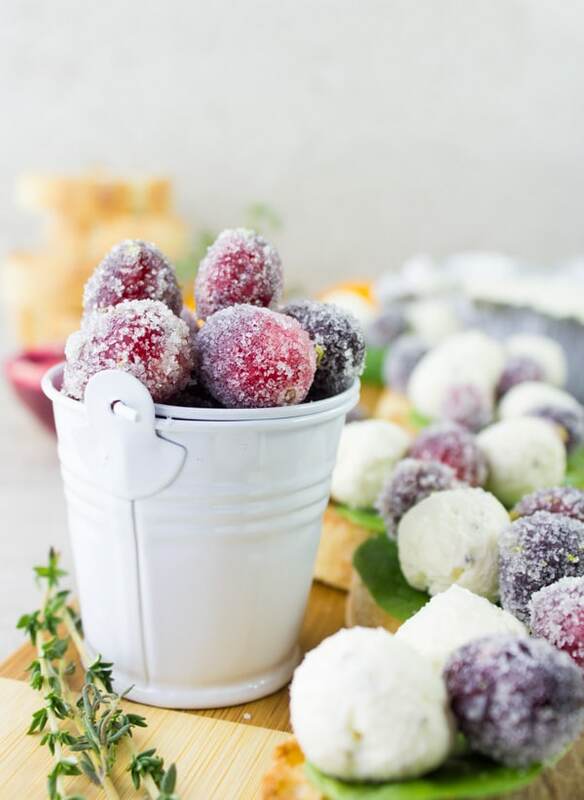 Learn how to make Frosted Cranberries using my step-by-step-guide and pair these fruity gems with little cream cheese balls to make a festive cheese crostini appetizer! When it’s time for a really festive appetizer, it’s time for Frosted Cranberries served with Cheese Crostini. 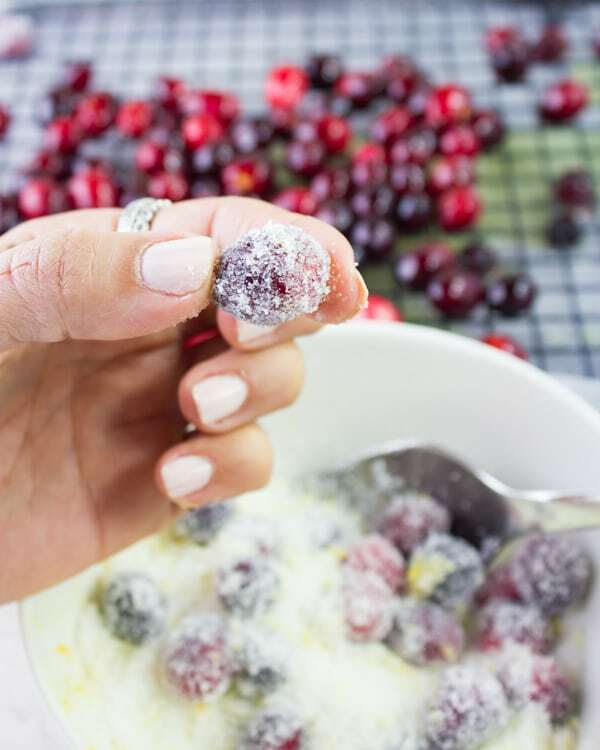 My easy yet gorgeous Frosted Cranberries simply add the WOW factor to your Holiday table. 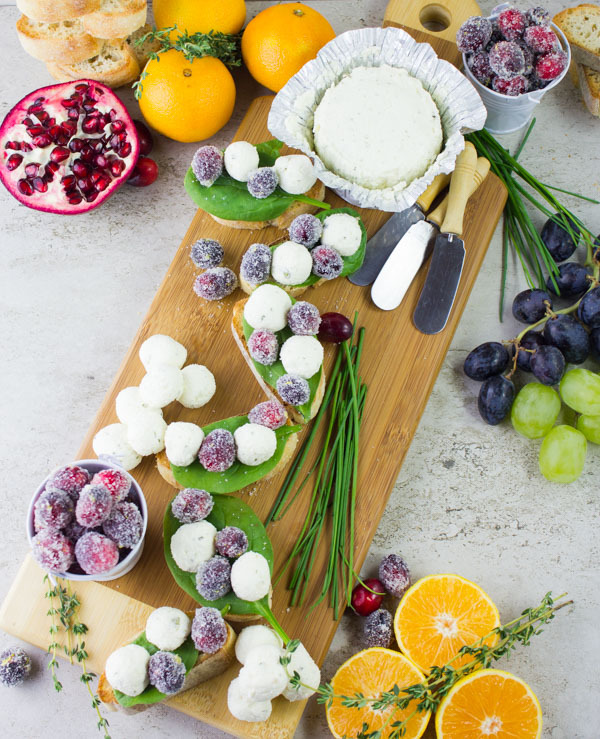 Make these easy, festive and addictively delicious little cheese crostini bites using only toasted baguette slices, sugar frosted cranberries and creamy garlic & herb cream cheese! If you’re getting caught up Holiday meal planning like the most of us, then by all means we need to make the appetizer a simple one. But simple wouldn’t mean anything short of festive—because it’s the holidays after all. 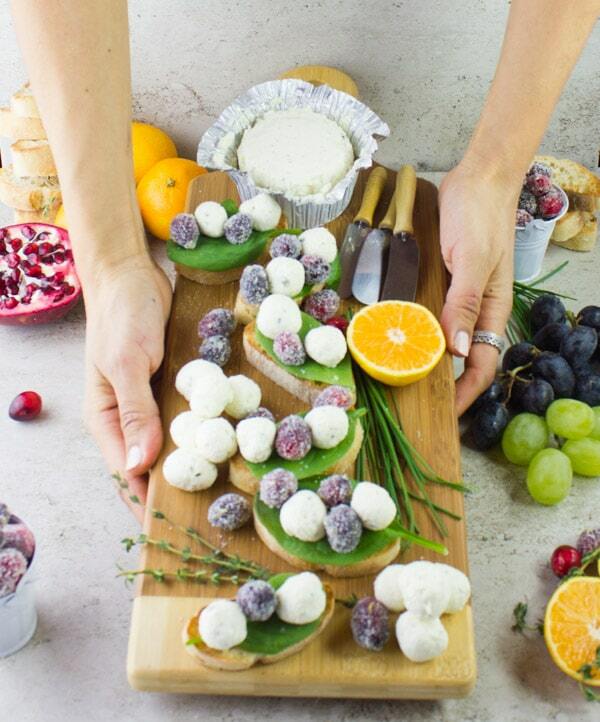 These Frosted Cranberries served on Cheese Crostini are your ticket! This stunning festive appetizer obviously involves cream cheese that I shaped into tiny balls, about the same size of my frosted cranberries. Side by side, they look just gorgeous served on a crostini. Just simply cut up your log of cream cheese into half an inch chunks and roll each between your hands for a second to form a ball shape. 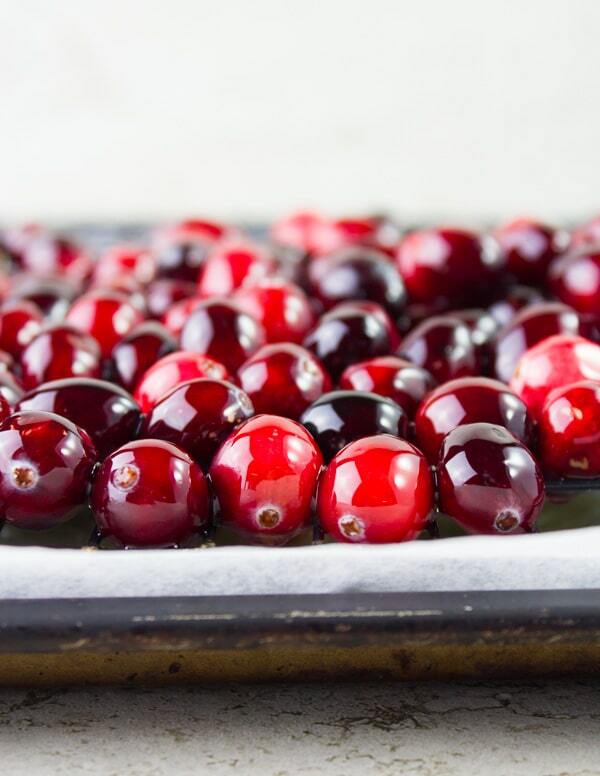 And now for the frosted cranberries—because again it’s the Holidays and we can afford to do that! Before I show you how simple and easy frosted cranberries are to make, I’ll tell say for the record you can use any type of fruit here. Think fresh strawberries cut up in half, raspberries, blackberries, peaches, grapes, sliced pears .. any fruit. But if you’re feeling a little extra festive like me, then you’ll need to make frosted cranberries! 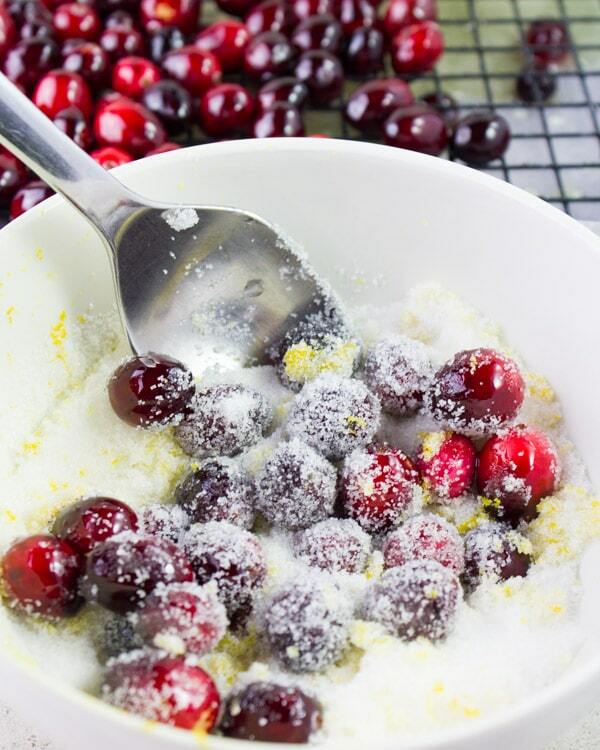 So here’s how you make frosted cranberries. You’ll make a simple syrup of equal parts sugar and boil this for 3 mins. I love to flavor that simple syrup by adding clementine or orange peel because the combo of orange and cranberries is pure LOVE. If you’re skipping the flavouring, then stick to the sugar and water. Once the syrup cools down a little bit ( it’ll be still warm but NOT hot) you’ll add in your washed cranberries. Give them a nice toss in the syrup and then pour them over a dry rack. 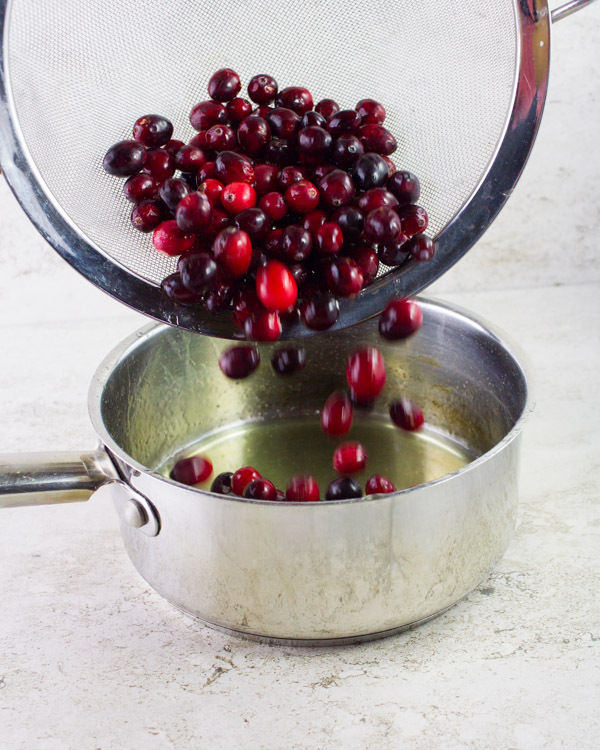 You want the sugary syrup to air dry a bit from the cranberries before rolling them in sugar—if you roll the wet cranberries in sugar right away, you’ll still get frosted cranberries, but they’ll be wet and the sugar won’t be dry on them unless you let them dry too. So basically, if you frost the cranberries right away, you’ll wait for the sugar coating to dry or if you dry the syrup cranberries before frosting then once you frost, they’re ready for you. Finally, I love adding extra clementine or orange zest to my coating sugar for more zing. Feel free to skip that if you want the pure cranberry flavor to shine. And that’s IT! You did it. These Frosted Cranberries keep beautifully in the fridge for a week when stored in a container, lined and covered with parchment paper. 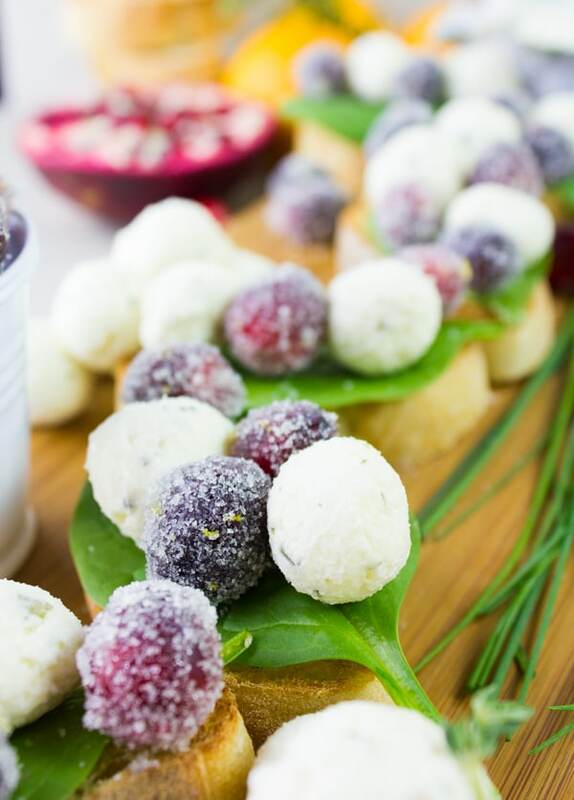 So for your next Holiday appetizer, try these Frosted Cranberries paired with Cheese Crostini! It’s such an easy holiday appetizer and you can prepare it well in advance. You and your guests will absolutely LOVE it so make yourself a nice BIG platter of it to pass around! When making frosted cranberries, I prefer drying the cranberries first because I feel the coating sticks better. Another thing to remember is the sweetness or tartness of your cranberries when you first buy them will remain the same. If you’ve heard that soaking the cranberries in a syrup solution overnight will make them sweeter—I’m sorry to say that it doesn’t make a significant difference. At the same time, I feel the sugar coating will do the trick so don’t stress about that. 1 baguette sliced and toasted with 2 teaspoons of olive at 375 degrees for 8 mins. 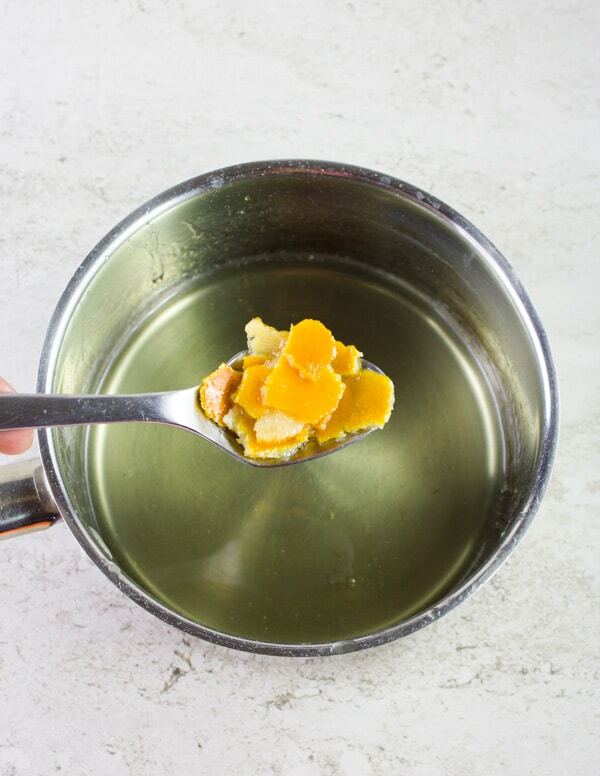 Boil the sugar and water with the clementine peel for 3 minutes and set aside to cool down for 3 minutes. Remove the clementine peel with a spoon. Add the washed cranberries to the syrup mixture and toss it well to coat. Remove the cranberries from the syrup and place on a cooling rack with parchment paper under it Spread the cranberries in a single even layer and let them dry for about 1 hour. In a large bowl, toss the sugar and zest of the clementines. 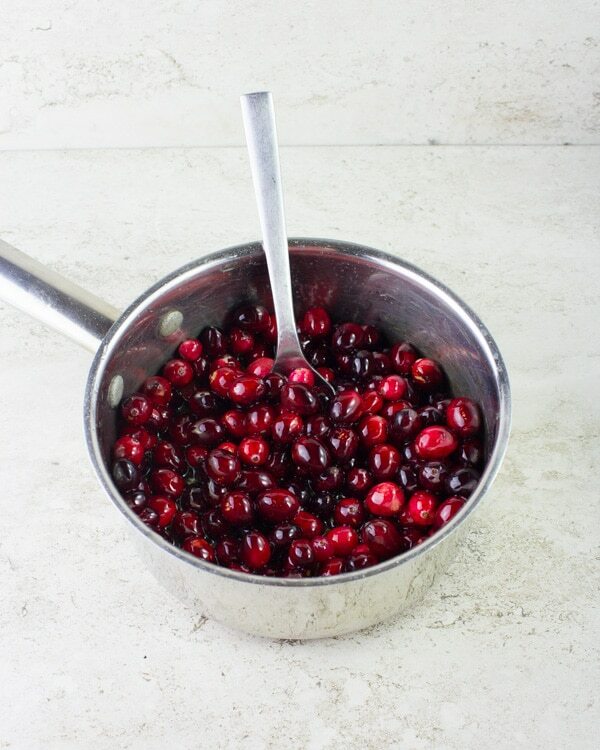 Take a few cranberries at a time ( 10 or so) and add them to the sugar mixture. 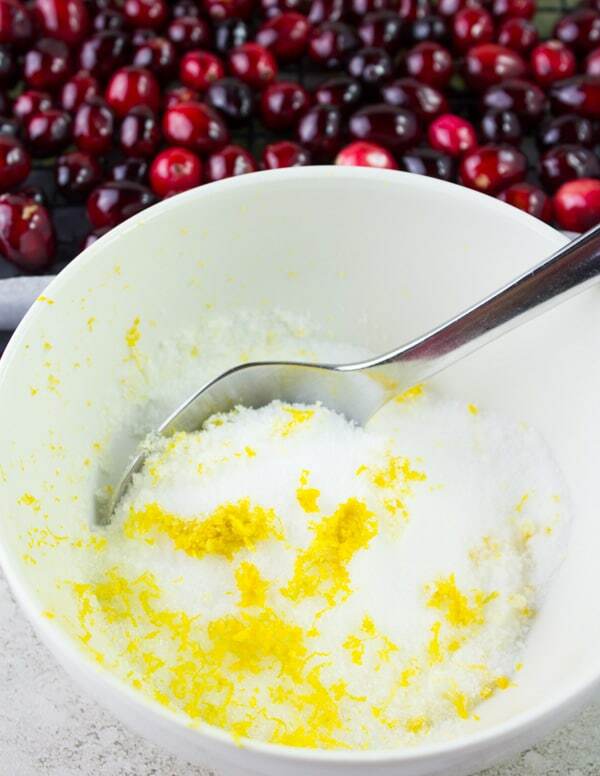 Use a spoon to toss the cranberries and coat them in the sugar then remove them back to the same cooling rack. Repeat with the remaining cranberries. 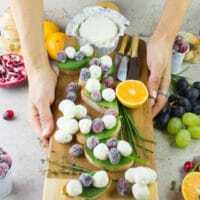 Take the round of Boursin cheese and cut it up into half an inch pieces, then roll each piece slightly to form the shape of a ball about the same size as the cranberries. 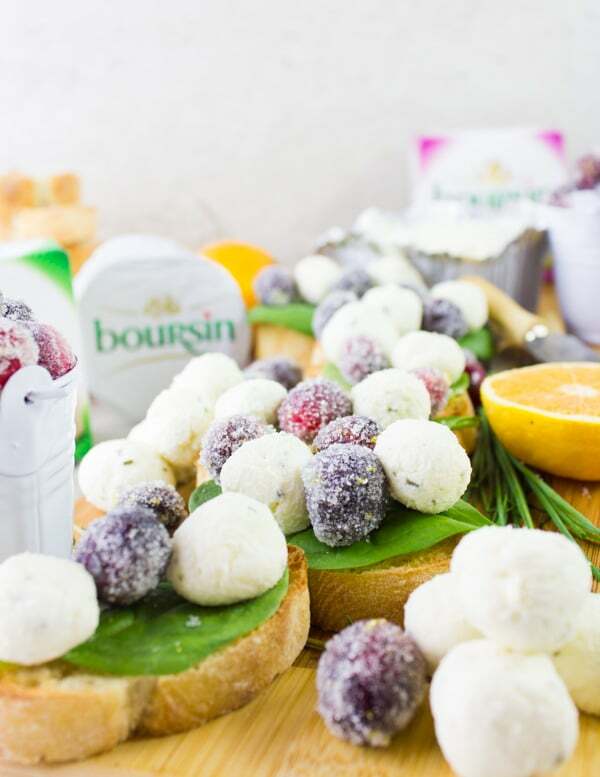 Place the toasted baguette slice on the serving platter, top it with fresh spinach and alternate the cranberries with the Boursin cheese balls. Repeat with the rest. Serve with extra frosted cranberries and enjoy! 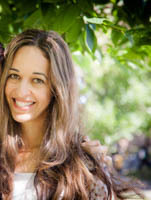 Thanks so much Serena!! 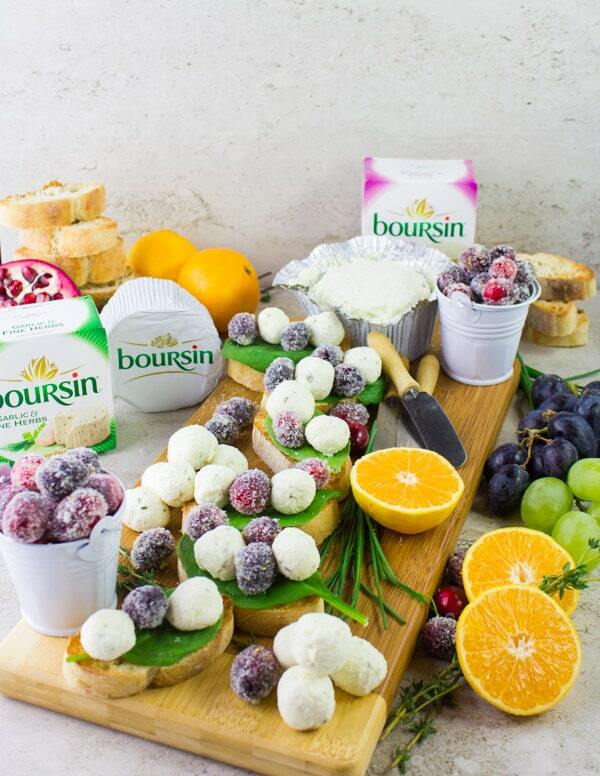 You are really MISSING out–there’s nothing like Boursin 🙂 Hope you enjoy this! Oh wow looks so gorgeous and festive! Such a great idea, so simple and easy to make! Hope you make it Melanie! Wow, what a great appetizer!!! This recipe looks super easy and full of ingredients my family loves. Looking forward to trying soon. Yum! This looks so festive and pretty! These look delicious and perfect for the holidays! Go ahead and do it Brandy!